In this enthralling debut, one young girl learns that getting the best revenge takes more than a little luck. 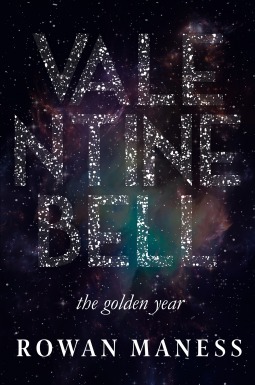 Valentine Bell spends her days aboard the luxury cruise ship “The Heart of Io,” traveling back and forth between earth and beautiful, mysterious Vala, a planet where the jungle holds a universe-altering secret. The young orphan is unaware of her powers, only knows that she has been born with a scar, and seeks greater adventures than what life has provided for her. She finds it in the form of Orion Sides. Orion uses Valentine’s fascination to entangle her in his father’s gang of thugs and thieves, who run the ship’s underworld. But Orion knows something Valentine doesn’t— that her scar gives her a special ability to bestow luck upon anyone who touches it. Aided by her de-facto dad, Tycho, and her best friend, Luke, Valentine realizes that Orion’s been using her luck to pull off a heist, and when a set of priceless jewels goes missing from the cabin of a powerful Ambassador, Valentine is sure she knows who’s taken them. Out for revenge, Valentine embarks upon a dangerous journey that takes her into the Valan jungle, spurred on by a strange connection to the precious jewels. As she learns about her own tangled history, and forges a path to her future, Valentine discovers that she has a role to play in setting things right, talents beyond her imagination, and a thirst for justice that takes her down perilous paths. Rowan Maness’s stunning first novel invites readers into a dizzying world unlike any they’ve ever seen, and introduces a character whose journey will enchant anyone who has ever questioned their place in this world or any other. Rowan Maness is the author of BOMBSHELL, to be released July 4, 2017 from Simon Pulse. She lives in Los Angeles with her husband and daughters. This book is set in space and follows a thirteen year old girl,Valenine, that has an unusual power. This unusual power that she has sometimes gets her into trouble. She falls in love with a boy named Orion. Orion is a nice boy, but his father is a mobster that hustles all of the passengers. He is playing an ordinary game of poker one night, a game he should have won but didn't. And the only thing that was different that night was that Valentine was there. This book is set a great pace and will keep you interested throughout the whole book! Valentine's has an unusual power. After she falls in love with Orion and her power has an effect on Orion's father, this power of hers might get her into some serious trouble. There is drinking and smoking in this book.